Is there a “Headshot” count on the scoreboard during competitive matches to see who got the most headshots in a round? 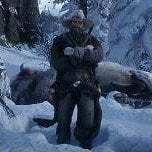 They are intending to keep all progress and saves from the beta for the full online release, but they did state rank and progress resets may be required in certain situations. I had a feeling; hopefully they'll unlock again for us, especially if they add or change things once it's out of beta. It took GTA online a very long time to add the feature to edit your appearance, but I suppose there's no real guarantee that the characters we make today will be still be around by the end of the week, lol! They are intending to keep all progress and saves from the beta for the full online release, but﻿ they did state rank and progress resets may be required in certain sit﻿uations. Geez. How many barrels of gun oil did you go through, cleaning that thing?? How did you unlock the Ultimate content? Once you have put the code in and completed the tutorial then your weapons will be in the gunsmith, your outfits in the general store and the camp theme is unlocked in the camp. How much does honour play into it? Do you lose honour for killing other players? Is there a discount on stuff for having good honour, like in SP? Any plusses to having bad honour? So gold bars are essentially cash cards, but you can (painfully slowly) earn them in-game too? Is the lasso there? Are there any jarring drops in graphics, etc.? One positive thing about the game is the fact that the Graphical quality is almost the same as the SP. With GTA Online there's a very noticeable difference in the graphics between SP and MP. 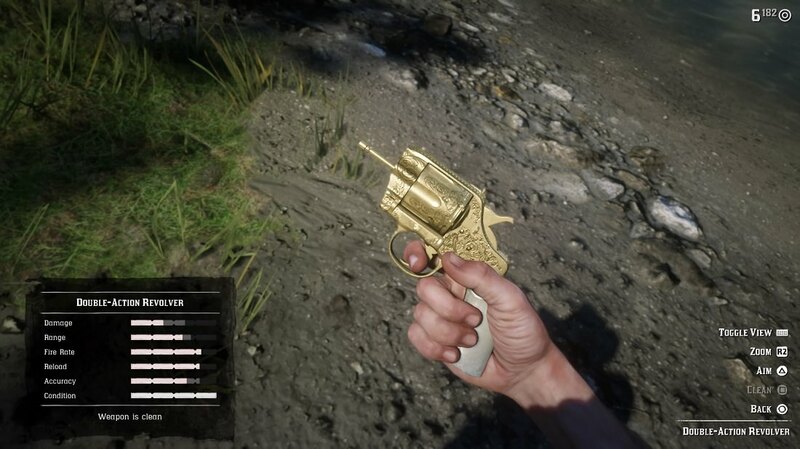 But with RDR I honestly can't tell the difference. Killing another player decreases your Honor, Posses have their own Honor bar. There are parts on missions where you can make decisions e.g kill someone or spare them. Everyone in the mission gets to vote on what choice to pick. Whichever gets the most votes. This can change the objectives of a mission. From what I can tell Honor really doesn't seem to do anything. And according to the help section you can visit a store and reset your Honor whenever you want. Could be for role play I guess? Are character names visible to other players? don't know what to type down here anymore. After you spawn back in freeroam after a mission,can players that also did the mission with you kill you right away or does the game give you some time to get away? Can we play poker/blackjack online? The mission states 1/4 players, but it doesn’t give me an option to do them solo. Anyone else? i heard blackjack is online, not sure about poker. I really hope Poker made it in too. My friends and I have been hoping to play against each other. Thanks for the info about blackjack! If anyone knows if poker is in please let me know. Thanks. A cowboy game without card games would be kinda lame, so I'm hoping it all makes it online. Are interiors locked? Are stolen horses 'too hot' to keep? Are npcs aimbots? *Should I wait until it's cheaper to buy? *regardless of what anyone says that's what I'm doing if I buy it at all. Uh..... where the hell did all the missions go? How do you remove your jacket in camp? I’m really hoping it gets added eventually. It would be amazing to play online. the ultimate edition gives us the option to rank up to 20 or something like that. how can i get it? We have rank "boosts" up to level 25, not instant rank. Meaning we can level up faster than others but only until level 25.
oh okay thanks. i was confused on that. Are you able to pare down your weapon wheel, so you’re not stuck with things you don’t want? From videos I've watched, it's like the original Redemption where being silent (crouched/not moving) makes your blip disappear. Are there any different session types, like GTAO (crew-only, friends-only, invite-only, solo), or is it really just 'public PvP or GTFO'? From what ive seen on reddit not even blackjack is in. The only place i saw someone confirm blackjack was in one comment on the main Q/A page everywhere else claims gambling isn't in. I had this aswell, it also said my camp had been packed away and i had to pay a fee to 're pitch it so I selected online from the start menu and it loaded me in to another session and everything came back camp other players and mission icons, happened again later aswell after id done another mission, confused as to wether its a bug or solo session. One of the few positives I can report is when I get dumped out of a story mission, there's rarely anyone within 400 yards of me. passive mode is not a thing either and i even heard that for some reason auto aim and free aim are not separete lobbies. i hope they have not added these things yet for sever balancing in the beta,but i have my wories for the full release. Dang - yeah, that's what I'd heard. If I were being charitable, I'd say that maybe it's because this whole period is as much a 'stress test' as anything, to see how RDO copes when opened up to the public (because of the woes of launch-era GTAO) - forcing everyone to be in public sessions for the beta means more instances of full sessions for R* to look at. On the other hand, this is also the first look at a R* Online mode in a post-SecuroServ world - as in, GTAO went from 'you can hand-pick every player in a session, and choose whatever kind of session you want' to 'if you're not in a public session, you can't do most of the new stuff', and I suspect that RDO is going to start with that latter mentality underpinning it (which isn't good news for lone wolves, fans of PvE over PvP, or just people who don't like being griefed by idiot randos...).